The warmer weather late this fall has been so far welcome from many Michiganders who have experienced some pretty good cold snaps over the past two winters, including additional snowfall. 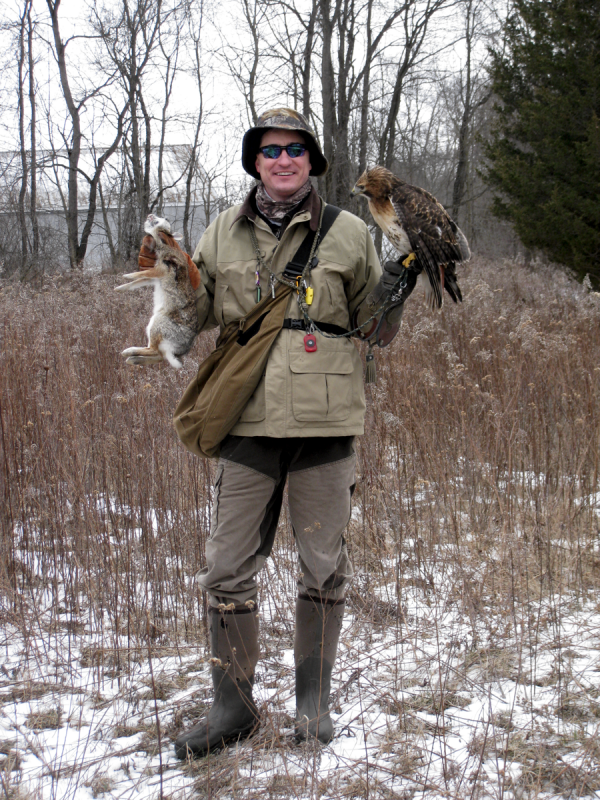 These days are great for falconry and the small game hunting season. 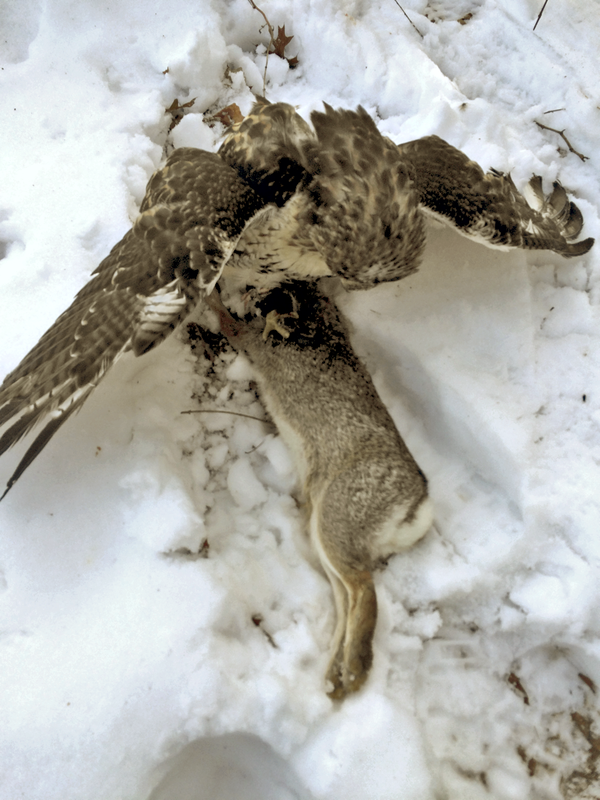 The rabbits, squirrels, and even the mice are out in the fields, plenty active for a hunting raptor in search of it’s next meal. When Cedar is out hunting, anything small, furry, and scurrying about are not safe in the woods. 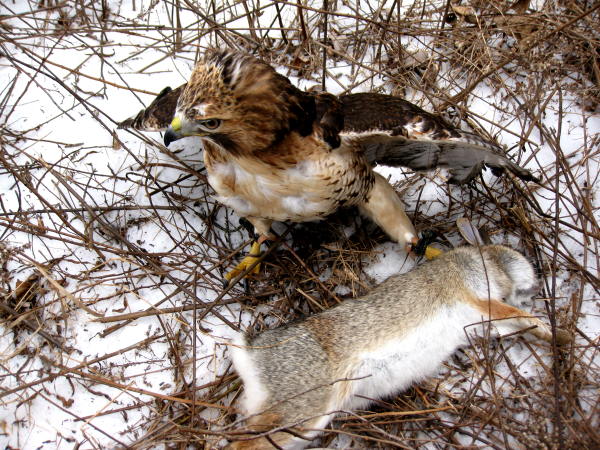 Cedar is hunting really well this season and caught this rabbit 10 minutes into todays hunt. The expanded brush-beating crew got the assist and enjoyed a good walk in the woods with Cedar. 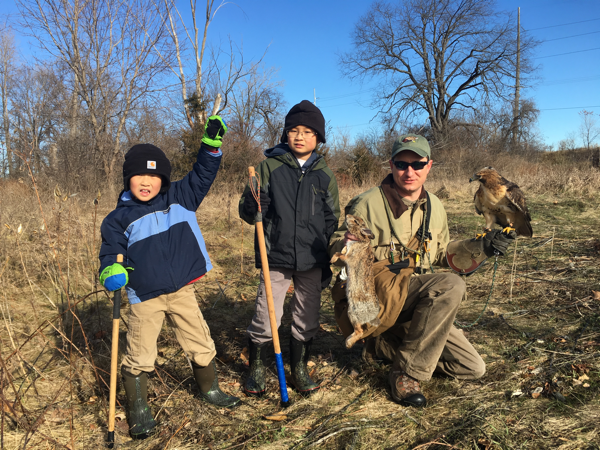 I hope to have many more hunts together with my family! Our recent excursion out to the hunting grounds provided Cedar some success as she caught a rabbit in the thick underbrush this past weekend. The cold snap in early January finally relented to a more moderate temperature for this time of the year. The negative wind-chills and single digit temps make it difficult to hunt AND maintain weight for a falconry raptor. So we’ve been staying in the house at night and eating up a little extra to combat the extreme wind-chills during the day. 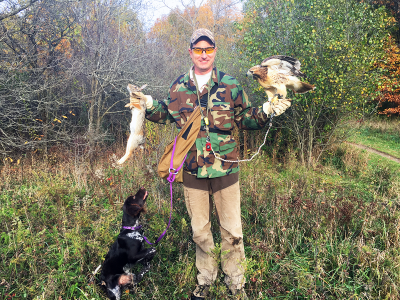 I flushed this rabbit way ahead of Cedar and when I gave the game call, I was surprised to hear her flight over my shoulder so quickly. She stooped at the rabbit, only to have him hold in some thick, compacted stick pile. Once she checked off, the rabbit must have flushed again, and continued through the snow. I found Cedar a few minutes later huddled under a log in an attempt to hide her prey. She traded off for the lure easily enough and we finished up our hunt on a great note!